With more than 1 million square feet of floor space in the massive McCormick Place, the Chicago Auto Show is the largest in North America. This is the 109th time the show has taken place, making it one of the oldest in the country. 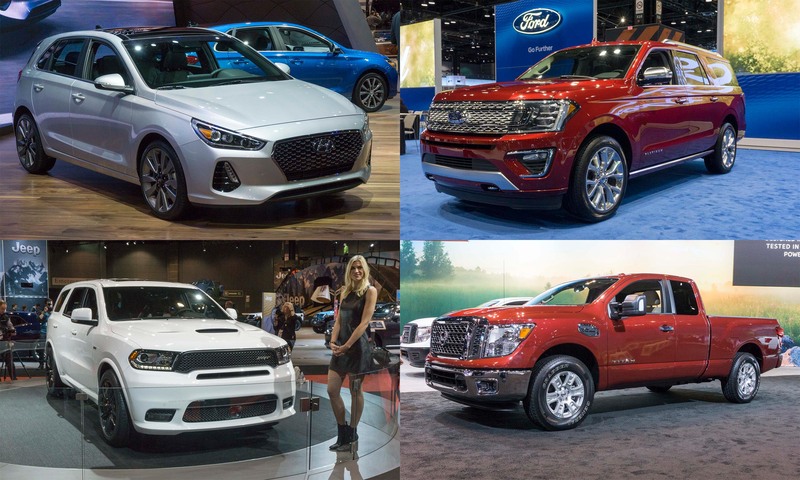 This year there were plenty of new offerings, including debuts from Ford, Subaru, Dodge, Hyundai, Chevrolet, Nissan and more. What follows are highlights from the 2017 Chicago Auto Show. Forty-five years ago BraunAbility installed a wheelchair lift in a full-size Dodge Van. 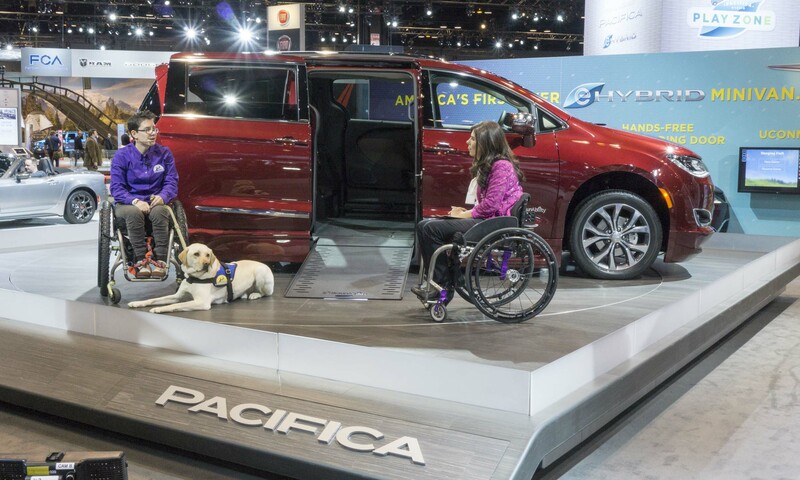 That pioneering move led these two companies to announce in Chicago that they would be partnering to create a wheelchair-accessible Chrysler Pacifica. The BraunAbility Chrysler Pacifica features patent-pending AccessAbility technology that creates the largest interior space as well as the widest door opening and side-entry ramp in the industry. This partnership also includes support for the “Give a Dog a Job” campaign, which benefits Canine Companions for Independence. Trained service dogs empower wheelchair users daily by completing everyday activities, including getting in and out of the wheelchair-accessible vehicles. In Chicago Chevrolet introduced the Redline special edition series, available on nine models: Camaro, Colorado, Cruze Sedan, Cruze Hatchback, Silverado, Trax, Equinox, Traverse and Malibu. All Redlines include black wheels with red hash marks, black nameplates with a red outline, blacked-out grilles and black Chevrolet bowtie logos. Some models add additional elements such as red tow hooks for Colorado. The Redline editions will go on sale throughout the year, with the Silverado Redline currently available for order at dealerships; all models will be offered by the end of 2017. This Dodge Durango receives the full Street and Racing Technology treatment, starting with a 475-horsepower 392 HEMI V8 engine, an 8-speed automatic transmission and performance-tuned all-wheel drive. Dodge cites a quarter-mile time of 12.9 seconds, a zero-to-60-mph time of 4.4 seconds and an 8,600-pound towing capacity. 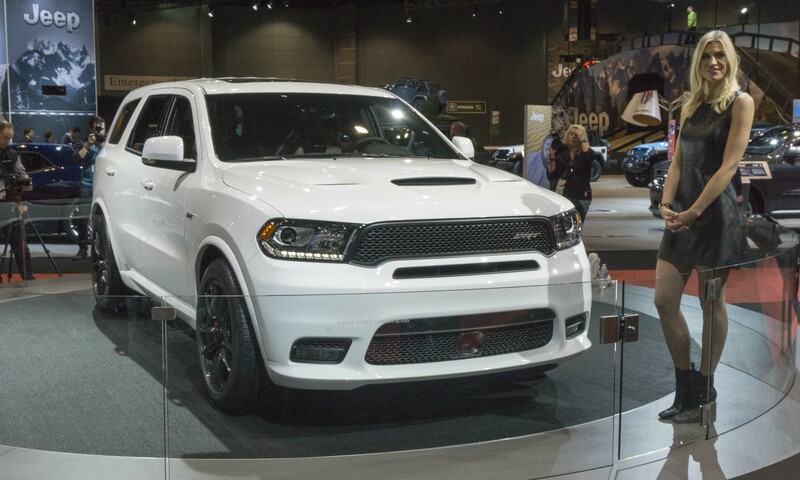 The Durango SRT includes wheel flares, body-color side rockers, an SRT hood, an SRT grille mesh pattern and a new front fascia with LED fog lights. The 7-mode SRT Drive System lets the driver adjust settings between performance and comfort. Inside, the Durango SRT includes Nappa leather with suede inserts, a hand-wrapped dash with silver stitching, an SRT flat-bottom steering wheel and paddle shifters. The instrument panel is a new 7-inch thin-film transistor with a customizable digital gauge cluster that lets the driver select from different layouts and information. 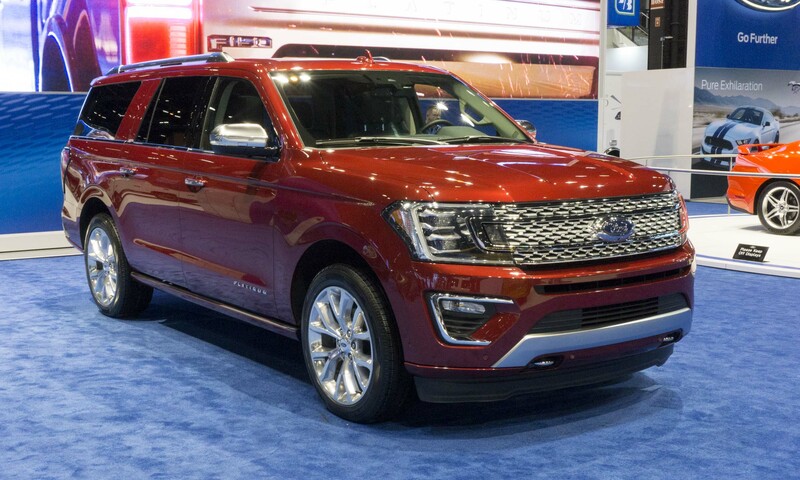 The all-new Ford Expedition appeared at the 2017 Chicago show after its debut on February 7 at Ford Center at The Star, home of the Dallas Cowboys. The redesigned Expedition features a new high-strength, aluminum-alloy body and redesigned high-strength steel frame. Expedition has a more powerful turbocharged 3.5-liter EcoBoost V6 engine with standard Auto Start-Stop, combined with a new 10-speed automatic transmission. Off-road capability is improved with a newly available electronic limited-slip differential when equipped with Intelligent AWD. 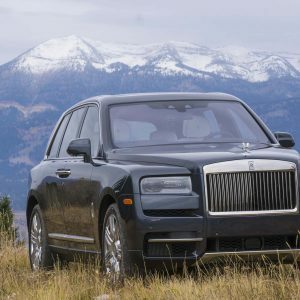 The 2018 model has more than 40 features and driver-assist technologies new to Expedition, including wireless charging, a Wi-Fi hotspot, SYNC 3, SYNC Connect, power in every row, and a Panoramic Vista Roof. Expedition’s flexible seating includes second-row tip-and-slide seats that provide easy access to the third row even with child seats installed. The 2018 Expedition goes on sale in fall 2017. 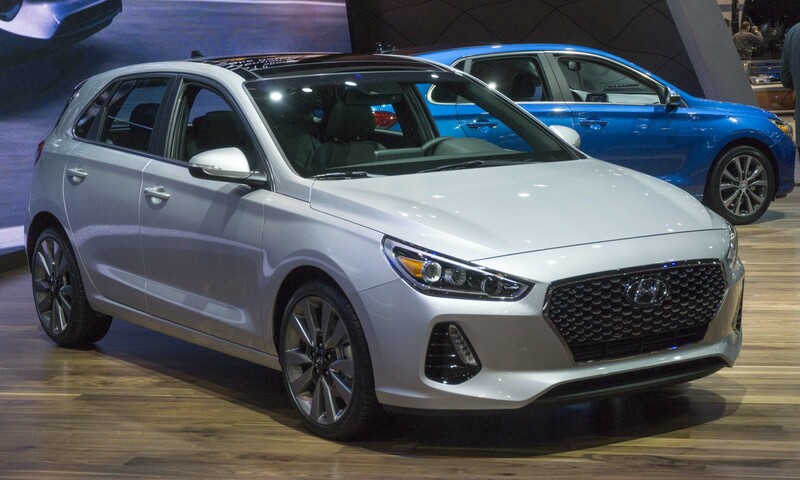 Hyundai’s latest model in the updated Elantra lineup made its debut at the 2017 Chicago Auto Show. The all-new Elantra GT offers sportier looks with added versatility. Built on an all-new platform, the Elantra GT is stiffer, stronger and lighter than the previous generation. This is largely because half the structure is now advanced high-strength steel — nearly double the outgoing generation. Two different versions of the Elantra GT will be available: GT and GT Sport. 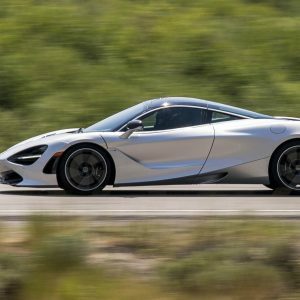 The GT gets power from a 2.0-liter 4-cylinder engine putting out 162 horsepower, while the GT Sport upgrades to a 1.6-liter turbocharged powerplant that produces 201 horsepower and 195 lb-ft of torque. 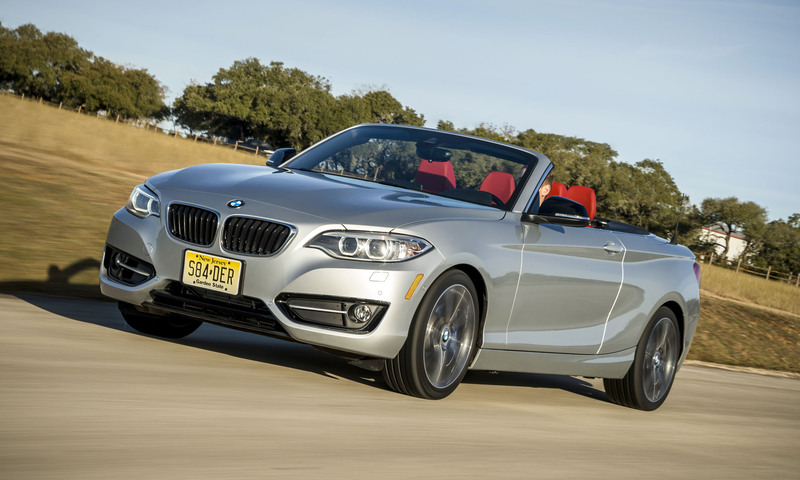 Buyers can choose between a 7-speed dual-clutch gearbox or a 6-speed manual transmission. The 2018 Elantra GT will join the Hyundai lineup later in 2017. Pricing will be announced closer to the on-sale date. 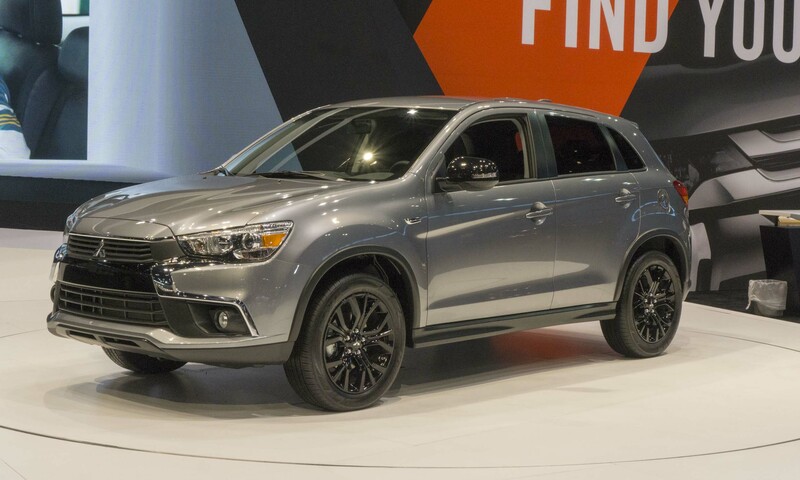 Mitsubishi hopes to attract new buyers to its best-selling model with the introduction of the Outlander Sport Limited Edition. 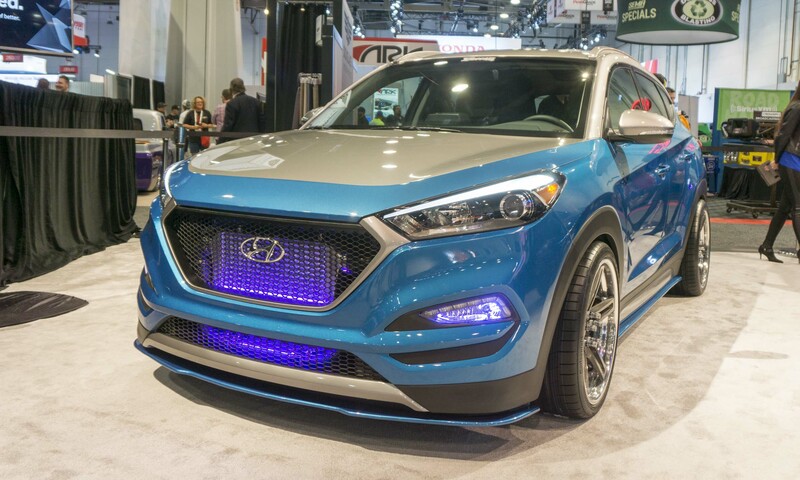 This special crossover stands out via an alloy fuel door, black-painted door mirrors, fog lights, HID headlights and 18-inch alloy wheels. Inside is a custom design with black fabric highlighted by red stitching on the steering wheel, shift knob and brake lever. Aluminum pedals, heated front seats and an audio system with Smartphone Link for Apple CarPlay and Android Auto are also included. The Outlander Sport Limited Edition will arrive in showrooms later this month with a starting price of $21,995. 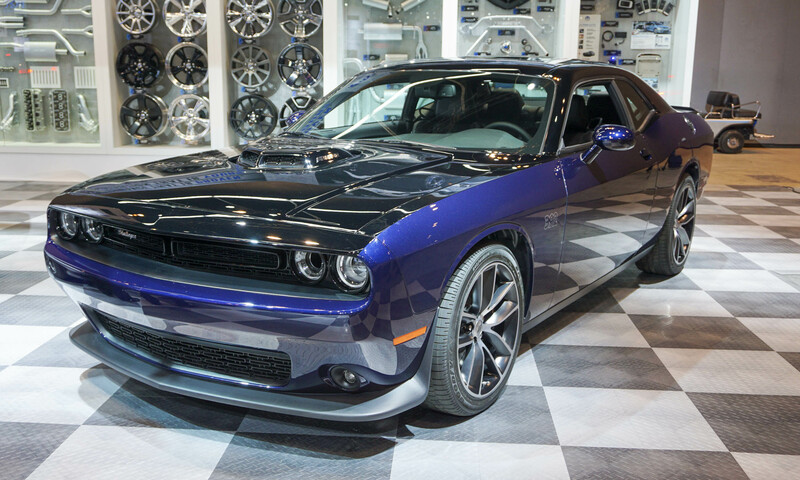 To commemorate the 80th anniversary of the Mopar brand, Dodge introduced the limited-edition Mopar ’17 Dodge Challenger in Chicago, featuring a Mopar Custom Shop hand-painted exterior. Offered in two color combinations, 80 models will be produced in Pitch Black/Contusion Blue and 80 in Pitch Black/Billet Silver. The 6.4-liter 392 HEMI engine produces 485 horsepower and 475 lb-ft of torque, combined with a 6-speed manual transmission. The 20-inch aluminum wheels include semi-gloss accents and Dodge logo center caps, while the chrome exhaust tips are replaced by Hellcat black exhaust tips. Upgrades include a Mopar cold air intake, air catcher duct system, Mopar Shaker strut tower braces and 4-piston Brembo brakes. Each car has a numbered Mopar badge under the hood, and buyers receive a Mopar ’17 owner’s kit. 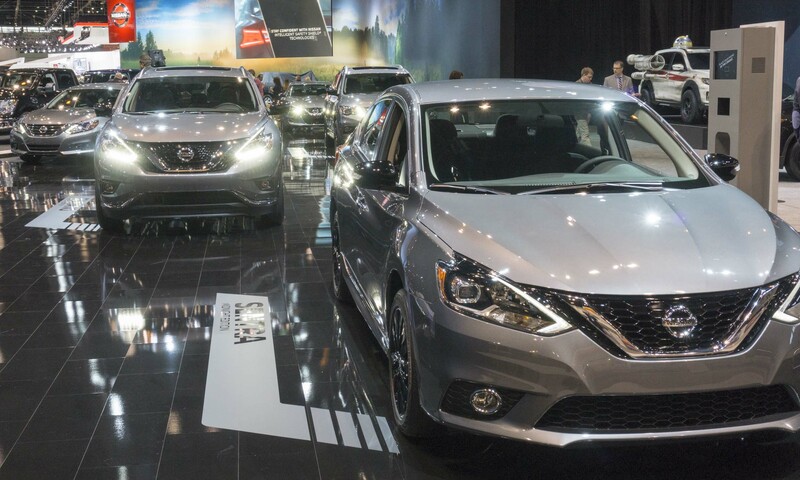 In the Windy City Nissan showed new Midnight Edition packages for six popular models. The black-out package — which includes black wheels, a black spoiler, black mirrors, available Midnight Edition floor mats and additional equipment depending on the model — is now available for Sentra, Altima, Rogue, Murano and Pathfinder, in addition to Maxima. The Maxima SR Midnight Edition was originally offered in 2016 with black exterior paint, but the new Midnight Edition color palette includes black, white, gray and red for all six models. The Midnight Edition package for Nissan’s compact Sentra includes 17-inch Midnight Edition wheels, while the Altima 2.5 SR Midnight Edition adds black 18-inch wheels. Rogue Midnight Edition includes 17-inch black alloy wheels, as well as black mirrors, roof rails, cross bars and splash guards. Murano Midnight Edition adds 20-inch Midnight Edition aluminum-alloy wheels and extras similar to the Rogue Midnight. The Pathfinder Midnight Edition also gets 20-inch wheels and black-out accoutrements similar to Murano, as well as illuminated kick plates. Nissan also premiered a one-of-a-kind NV Cargo van in the City of the Big Shoulders. 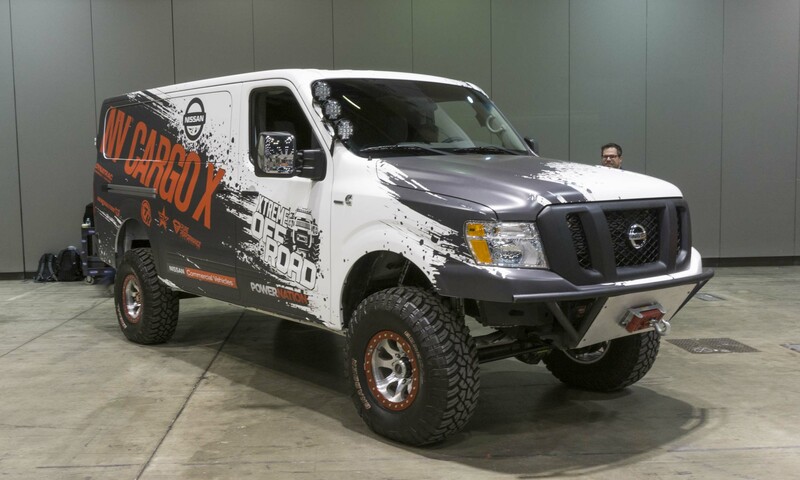 Created with off-road builder and “Xtreme Off-Road” television host Ian Johnson, the Nissan NV Cargo X project van is a Nissan NV2500 HD, powered by a Cummins 5.0-liter V8 Turbo Diesel from a Nissan TITAN XD truck. At more than 7.5-feet tall, the NV Cargo X is an extreme version of Nissan’s flagship commercial vehicle, riding on 37-inch General Grabber X3 tires with a custom off-road suspension. Other modifications include an LED lighting system, a 10,000-pound front-mounted winch and a tube bumper with custom skidplate. The Nissan NV Cargo X is finished with a black-and-white wrap. 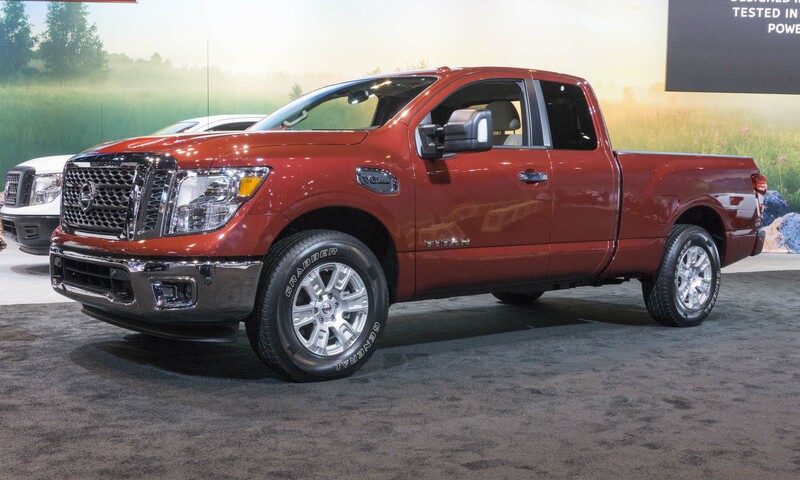 Nissan adds the new King Cab to the TITAN lineup, available for both the half-ton TITAN and the heavy-duty TITAN XD. The TITAN King Cab features a rear-hinged, wide-opening rear door for access to the second row, along with 6-passenger seating and a 6.5-foot bed. TITAN King Cab offers a rear-seat-delete option that eliminates the rear seat, rear heater duct and rear roof-mounted assist handles. The standard engine is Nissan’s 390-horsepower 5.6-liter Endurance V8 engine combined with a 7-speed automatic transmission in either 4-wheel drive or 2-wheel drive. The King Cab has an available maximum towing capacity of 9,420 pounds and maximum payload capacity of 1,640 when equipped for maximum payload. The TITAN XD King Cab is available with either the 390-horsepower 5.6-liter Endurance V8 or a Cummins 5.0-liter V8 Turbo Diesel that produces 310 horsepower and 555 lb-ft or torque. Maximum towing capacity for TITAN XD King Cab with the Cummins engine is 12,510 pounds, and maximum payload with the 5.6-liter V8 gasoline engine is 2,710 pounds when properly equipped. 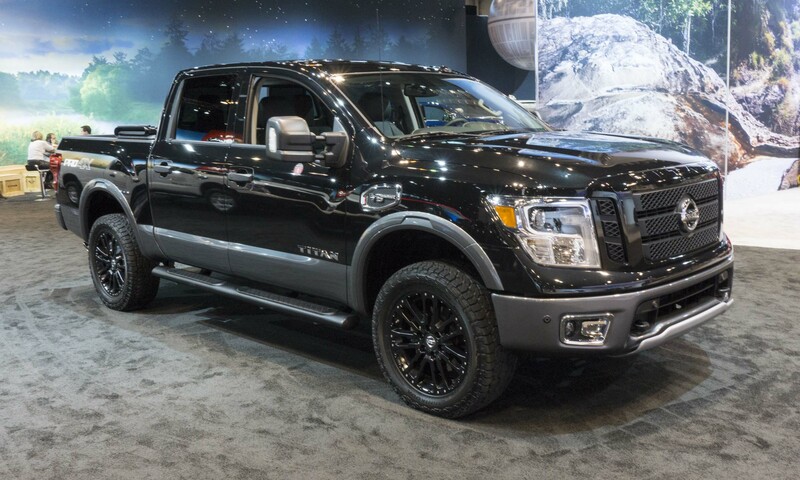 The Nissan Accessories TITAN PRO-4X is a Super Black 2017 TITAN PRO-4X Crew Cab, powered by Nissan’s 390-horsepower 5.6-liter Endurance V8 engine combined with a heavy-duty 7-speed automatic transmission and 4-wheel drive. 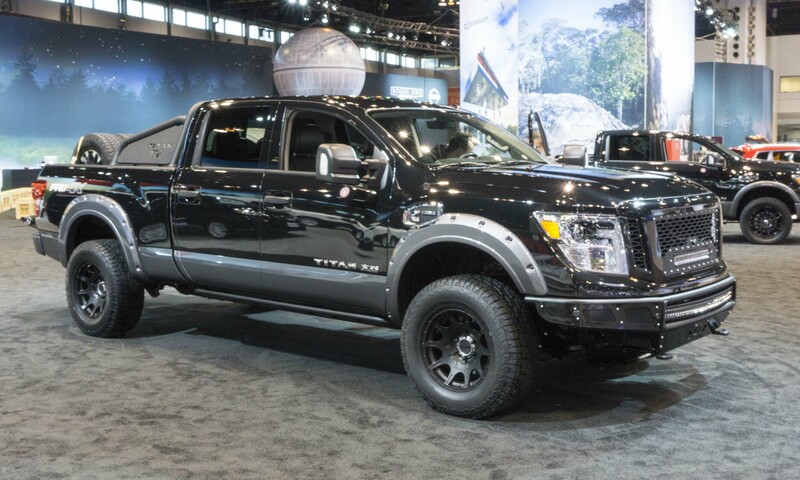 The TITAN PRO-4X is built with Genuine Nissan components along with a Prototype Nissan Motorsports Lift Kit, Prototype NISMO TITAN cat-back exhaust system, Hankook Dynapro ATM 285x55R20 tires and a Trifecta tonneau cover. Created by Nissan Motorsports, the TITAN XD PRO-4X Project Truck is powered by a Cummins 5.0-liter V8 Turbo Diesel engine combined with a heavy-duty 6-speed Aisin automatic transmission and features many Nissan parts and accessories. 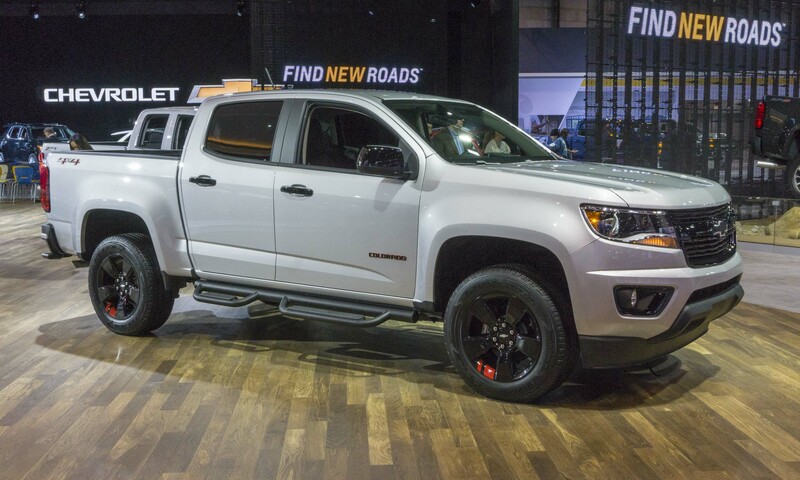 The project truck also adds an ICON Vehicle Dynamics suspension system; a Rigid Industries front grille with camera mount and light bars; an N-Fab front bumper and rock rails; EGR fender flares and sport bar; and Method wheels with Hankook tires. The limited-edition Ram 1500 Copper Sport debuted at the Chicago Auto Show, adding a Copper Pearl color to the 1500 Sport Trim. 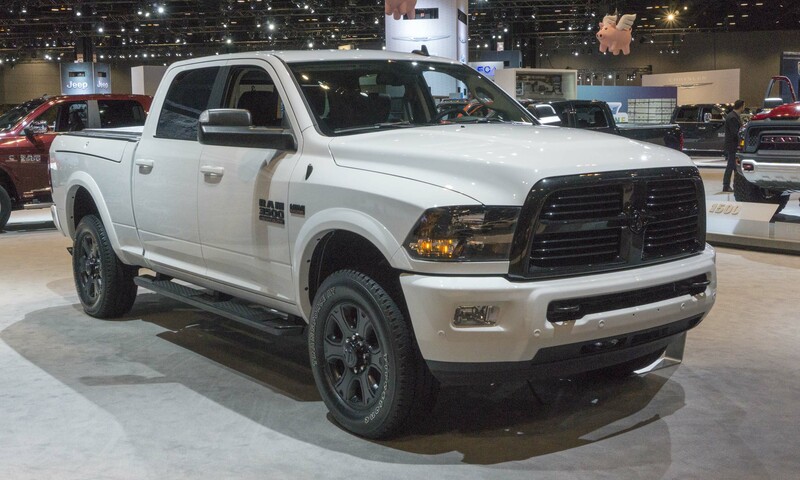 The Ram Copper Sport monochromatic trim includes a body-color grille, a black-decaled Sport performance hood, black Ram’s head grille badge, black tailgate badge and black side badges. 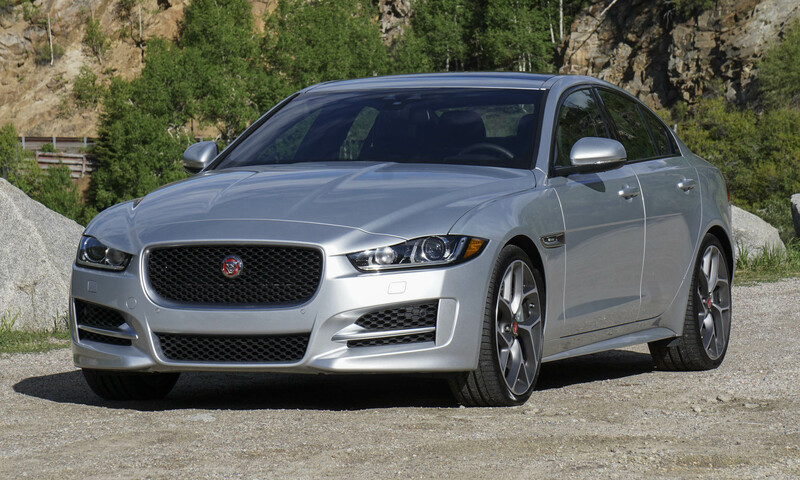 Polished 22-inch aluminum wheels finish the look for 2-wheel drive models, with 20-inch wheels for 4-wheel drive. Inside, the Copper Sport features copper-colored stitching, Sport embroidery on deluxe bucket seats, color-accent Ram’s head embroidery on the head restraints and sport mesh seat inserts. Ram Copper Sport features an Alpine premium audio system with nine speakers including a subwoofer. 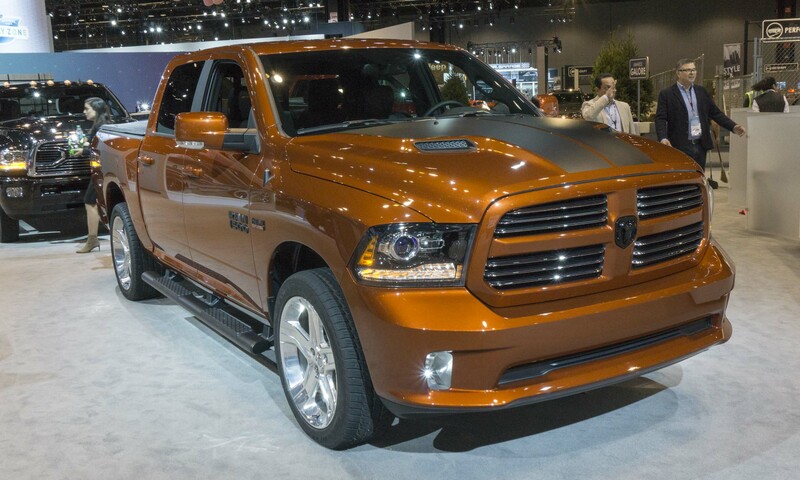 Only 3,000 Ram 1500 Copper Sport models will be produced. The black-out theme proved to be popular on new models debuting at the 2017 Chicago Auto Show, and Ram trucks were no exception. The truckmaker adds special-edition Night packages for Ram 2500 and 3500 HD models for a customized look. The Night package includes a black grille surround with black billet inserts, black badges, black lighting bezels and 20-inch black-painted aluminum wheels. The front and rear steel bumpers are painted body color and black rectangular running boards are available. Inside, the Night package includes high-back heated cloth vinyl bucket seats with 10-way power adjustment, power-adjustable pedals and automatic temperature control with dual-zone climate control. The Ram Night package is available on Ram 2500 and Ram 3500 single-rear wheel Crew Cab models. Both 2-wheel drive and 4-wheel drive are available with all three engine choices: a 5.7-liter HEMI V8, a 6.4-liter HEMI V8 and a 6.7-liter Cummins diesel. Five color choices are available, including Delmonico Red Pearl and Granite Crystal Metallic. A few years ago, Subaru unveiled the next-generation Legacy at the Chicago Auto Show, and this year the Windy City seems like the appropriate venue to reveal an updated version of the all-weather sedan. 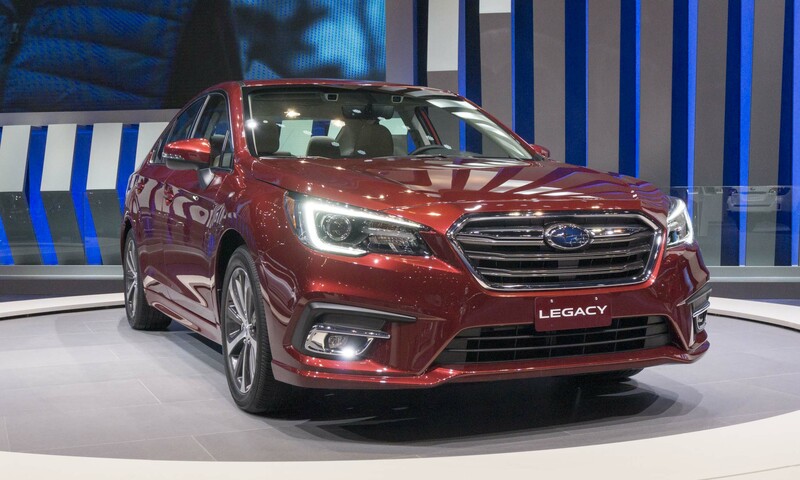 The 2018 Subaru Legacy features revised styling with a number of updates to comfort, safety and infotainment systems. 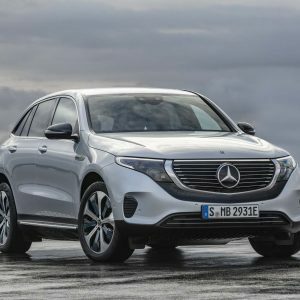 Exterior refinements include wider, lower grille openings as well as a new bumper that better integrates with the trademark hexagonal grille, which is also larger than the previous model. In the rear, the tailpipes are better integrated into the fascia. 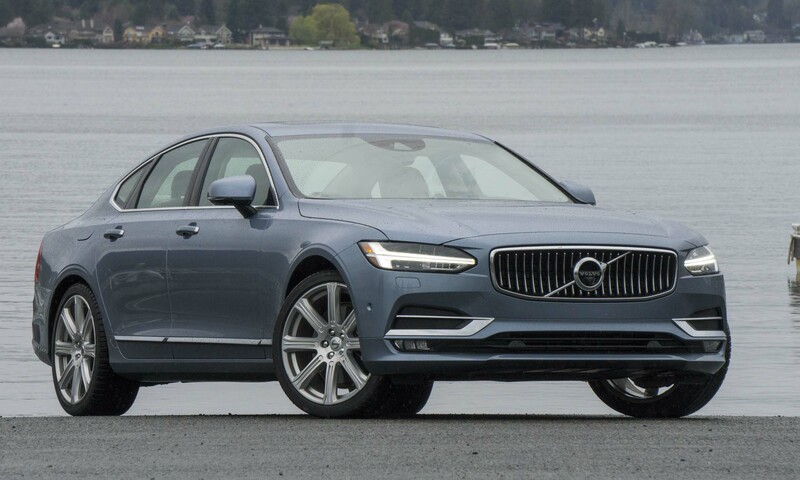 The 2018 Legacy gets the latest STARLINK infotainment system featuring Bluetooth wireless capability, iPod control and long-awaited smartphone integration with Apple CarPlay and Android Auto. The 2018 Subaru Legacy is built at Subaru of Indiana Automotive and will begin arriving in showrooms during summer 2017. It seems like every car company is trying to win buyers who enjoy an active outdoor lifestyle — the RAV4 Adventure should do just that. This special RAV4 stands out from the standard model with large fender flares, lower body guards, black headlight bezels, a black roof rack and 18-inch black alloy wheels. Inside are unique interior trim panels, a power outlet in cargo area, all-weather floor mats and Adventure-logoed door sills. 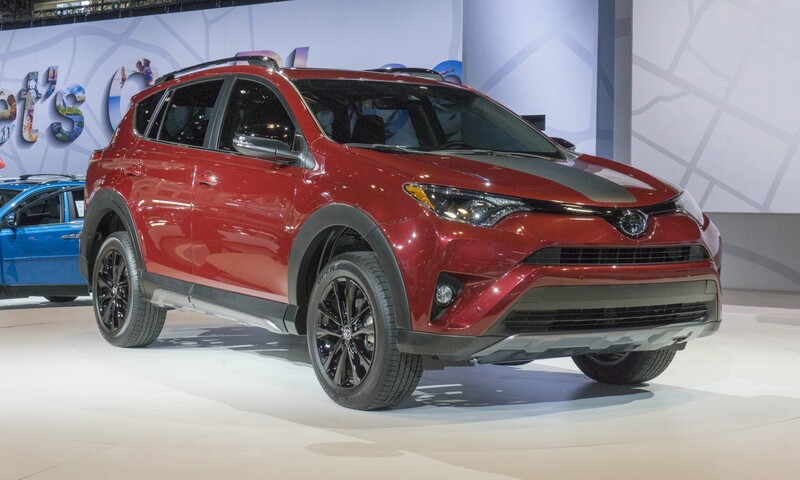 The Adventure package is available on front- or all-wheel-drive RAV4s — both feature a standard tow prep package with an upgraded radiator and supplemental engine oil and transmission fluid coolers, as well as a suspension system with a higher ride height. The RAV4 Adventure will arrive in showrooms this fall. 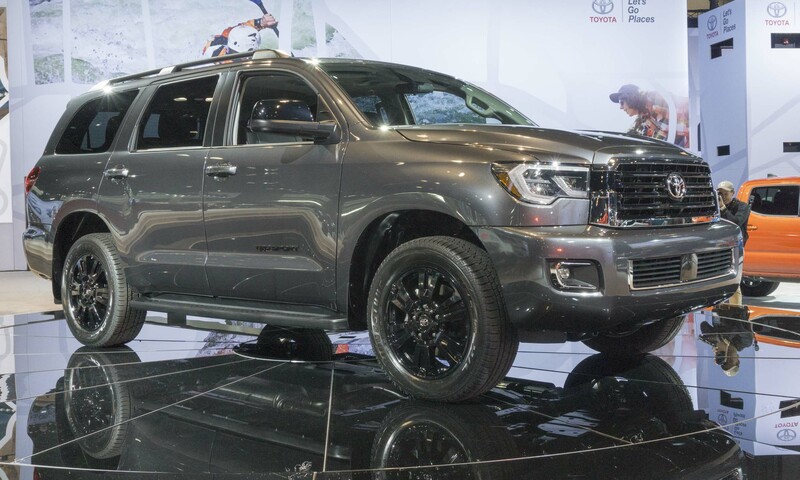 The full-size Sequoia SUV already looks like it could tackle anything that gets in its way, but in Chicago Toyota debuted the formidable Sequoia TRD Sport. To handle tougher terrain, this new Sequoia gets TRD sport-tuned Bilstein shocks and TRD front and rear anti-sway bars. The Sequoia TRD Sport will be easily identified by its new front grille, metallic black mirror caps, darkened rear taillights, black satin finish badging and 20-inch black alloy sport wheels. The TRD Sport package can be added to 2WD or 4WD Sequoias equipped with the 5.7-liter V8 engine. In the Second City Toyota also took the wraps off the TRD Sport version of the brand’s full-size pickup, the Tundra. Like the Sequoia, the Tundra TRD Sport gets TRD sport-tuned Bilstein shocks and TRD front and rear anti-sway bars. This big truck also gets a mesh grille, LED headlights, LED fog lights, a color-keyed hood scoop and 20-inch silver alloy sport wheels. Crew Max and Double Cab trims with 2WD or 4WD can be equipped as a TRD Sport. 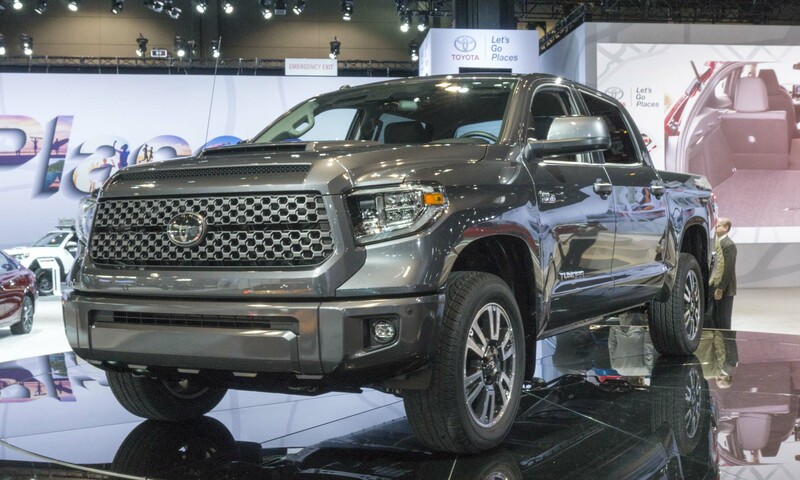 As part of the overall refresh of the 2018 Tundra, the new model will have the Toyota Safety Sense suite of high-tech safety features as standard equipment.